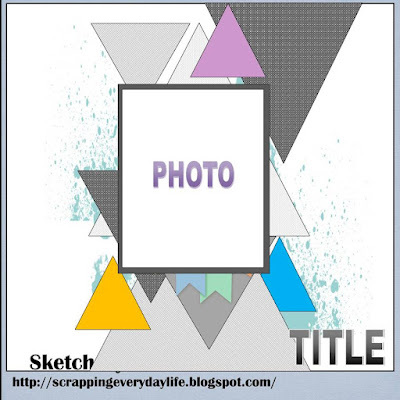 I've been busy in the past month and it's so nice to scrap again.I had so much fun in doing the challenges below with the triangle sketch and chevron patterns. This layout is with the sketch designed by Brenshevia below for Let's Get Sketchy. 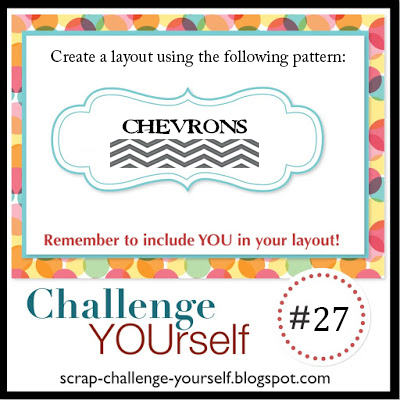 I use the pattern of chevron in the background and tags in this layout. 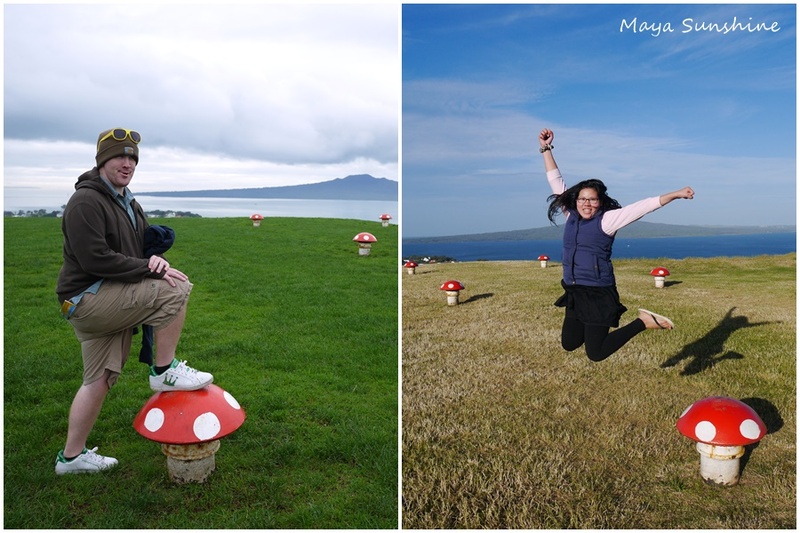 These photos were taken back in 2012 when we traveled in New Zealand. It was a wonderful day trip to Devonport, Auckland. It is a beautiful and historic village by the sea, just 10 minutes by ferry from Auckland City. Mt. Victoria is where we were in the photos, one of the famous landmarks in the village with stunning views, painted mushrooms, and a musical bunker. We've been here several times and we enjoyed our leisure time in Devonport.